Terminal 1 was designed to handle domestic, international, and trans-border flights in one facility. However, before Gate 193 was added, serving busy small-plane commuter traffic required busing passengers to an older building. 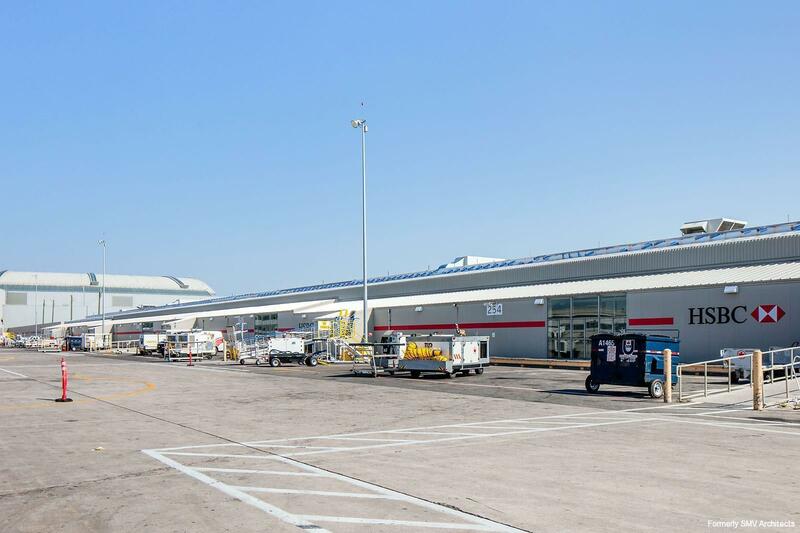 This 26,000 sf extension we designed added 14 commuter aircraft positions to Terminal 1, eliminating the shuttle service. Airport efficiency and passenger comfort improved dramatically. 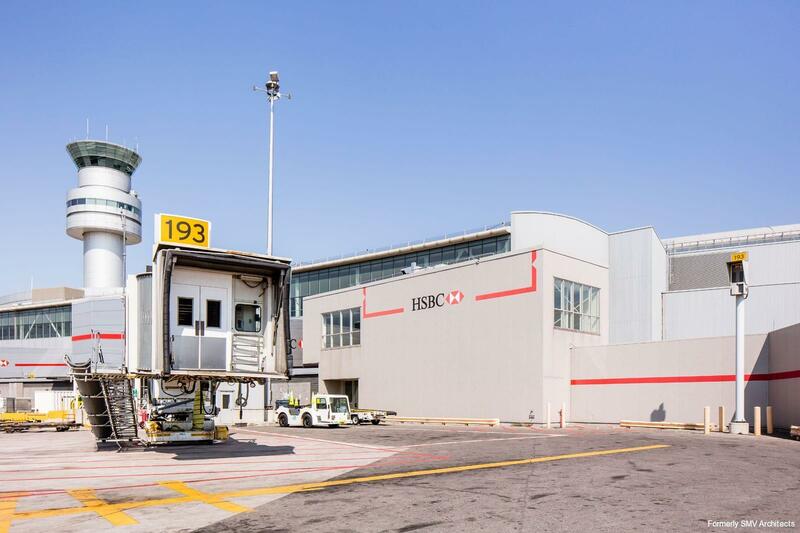 The GTAA’s plan to use prefab portable modules could not meet the safety requirements, so they asked us to design a building to be operational within seven months and that could be easily dismantled for relocation, permitting future expansion of the main terminal building. 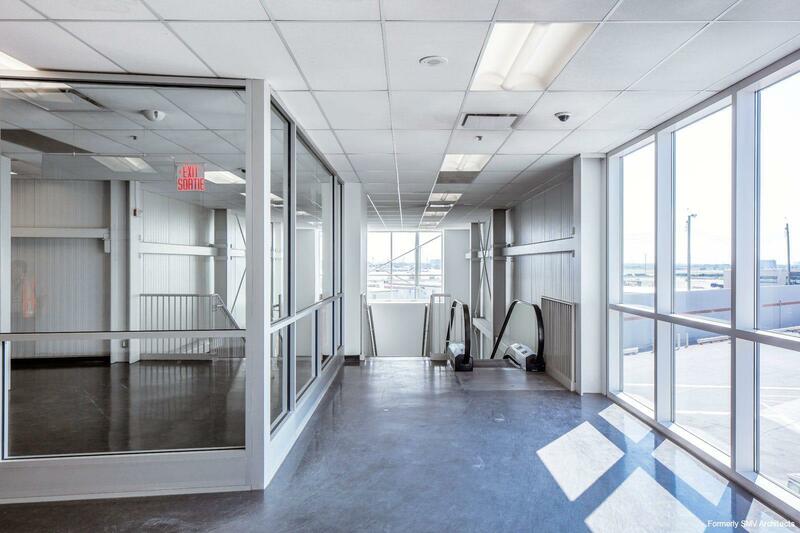 We designed a 1,000+ foot long building with a series of interior and exterior gates, passenger waiting rooms, concessions, washrooms, and offices, meeting all safety and security requirements. We also relocated an existing fabric canopy structure from the satellite building to provide sheltered access to seven new gates. 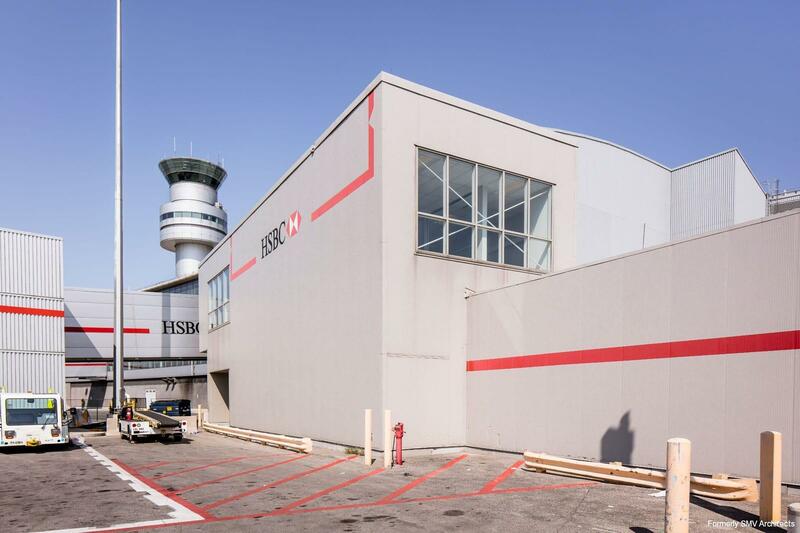 The entire building was constructed on top of the existing apron. By pouring a slab on top of the existing three-foot-deep concrete slab and bolting on the structural modules, we allowed for future removal of the structure, followed by straightforward concrete scraping and repair. For easy disassembly, the modules were constructed with insulated, bolted steel metal panels with aluminum and steel windows. The amount of glazing was limited for blast protection. Passengers arriving in Terminal 1 walk to the end of the passage where our new two-storey structure accommodates the arrival and departure areas. The two-storey connector to the terminal includes escalators, a stairway, and an elevator. From there, passengers walk down the corridor to and from the gates. Despite the narrowness of the pier, the departure and arrivals corridor had to be separated. We used a nicely detailed glass partition to keep the streams separate while retaining a comfortable passenger experience. Strategically-positioned windows help to break up the experience of the journey. Opened in 2009, the new pier immediately improved the experience for passengers, pilots, staff, and crew, while creating savings for the GTAA. Although designed to be temporary, the materials and construction methods were based on durability and ease of maintenance. The result is that, although originally planned for disassembly to make room for the construction of Pier G, the building is still working well and is expected to be in use until 2027, the revised construction date for Pier G.